In 2014, with the heyday of big bands in jazz many decades behind us, it's great to hear musicians forging ahead in this venerable tradition, and not just emulating past styles. We've recently noted Zubatto Syndicate from Seattle, and Satoko Fujii has ventured into this territory both in the US and Japan. 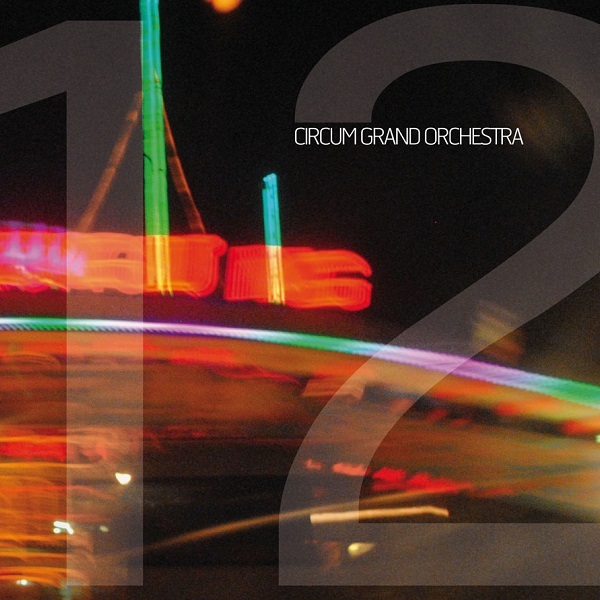 And in a way, Circum Grand Orchestra from Lille, France, is halfway between those two examples: the presence of electric guitar and some rock-inflected beats moves them away from the free(-ish) jazz of Fujii, but they're definitely more jazz-oriented than Zubatto. The 12-piece ensemble includes trumpets, woodwinds, and a double rhythm section, and the group is described as a collective, though electric bassist Christophe Hache is listed as leader. It really shows in the egalitarian nature of the arrangements. Everyone gets their time in the spotlight, and none of it is wasted. Trumpets, saxes, bass clarinet, guitar, all have their moments. Sometimes I'm reminded of Nucleus, where a sinuous bass line provides a rhythmic underpinning for great interplay between the horns. There are also sections of very low event density, where one or two players will improvise together backed only by very sparse percussion or piano. Another reference might be the large-group recordings of Charles Mingus or George Russell, especially if you think to Russell's adventurous projects starting in the mid-60s. One of 12's best features is the amount of space in the music; in spite of the large number of players, there's a lot of openness, moments of quietness where you'd never know there were so many musicians in the room — or maybe a bunch of them popped out for a beer at the pub next door. No, it ain't got that swing (unless you have a very loose definition of swing), but it do mean a thing.